It was the 16th of March 1966, when the brothers Paul and James Van Doren founded in Anheim, California, along with three other members, the Van Doren Rubber Company and opened their first store, where customers could order their model of shoes that were specially produced and delivered within the same day, the Authentic. The technique of production used by Vans, the vulcanization, with which the sole was merged with the shoe by means of molds at high temperature, made these shoes very resistant. 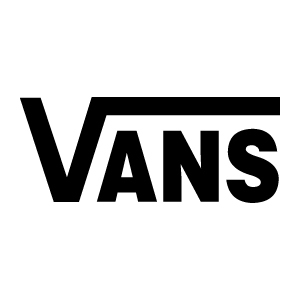 This feature and the excellent grip sole meant that in a few years the Vans shoes became the favorite shoes by practitioners of a new "sport", the skateboard. So it was that in 1975 was designed the first shoe specifically dedicated to skateboarding, thanks to the collaboration of two legends: Tony Alva and Stacy Peralta. The model was named #95, the current Era. In 1976 was created the #44, which, thanks to the movement skate and bmx of those years, became another unmistakable symbol of Vans, the Slip-On. In anticipation of decades what later giants such as Nike would, Vans was the first brand to offer its customers the opportunity to order custom shoes still in the 70s. Paul Van Doren sold his company in 1988 and after years of ups and down today Vans returned to be distributed and appreciated worldwide.